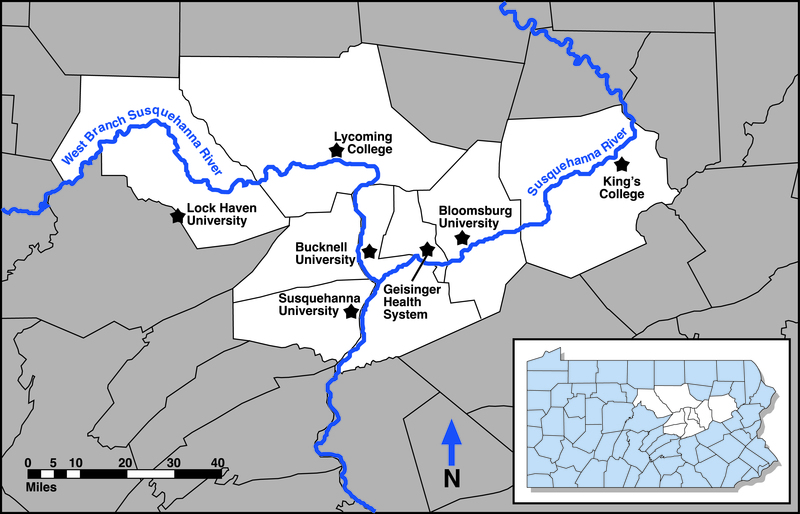 The Susquehanna River Heartland Coalition for Environmental Studies (SRHCES) is a unique collaboration working together on ecological research projects in the watershed of the Susquehanna River and its West Branch. The professors are partnering across institutions to collect, share, and interpret data. Their student interns are gaining experience both in the field and in the classroom, as they meet their counterparts at other colleges. Research and study the ecological conditions and processes in the watershed of the Susquehanna River and its tributary, the West Branch Susquehanna River.Create educational opportunities to promote student interest and involvement in the natural resources of the Susquehanna River watershed.Create a unique collaboration that connects post secondary students attending institutions in the Susquehanna heartland region with local communities and environmental organizations.